Concrete Resurfacing by Lester Pools Inc.
Is your driveway, patio or pool deck looking cracked, chipped or simply dull? Lester Pools Inc. can add pizzazz to your concrete surfaces and transform your outdoor living space into your own personal oasis! Concrete resurfacing is a fantastic choice if you are looking to update the look and feel of your property without spending a fortune. Often, surfaces can be refinished, rather than demolished, saving time and money. Avoid excessive downtime and begin enjoying your beautifully resurfaced concrete areas right away! and more! Call today to discuss your project! 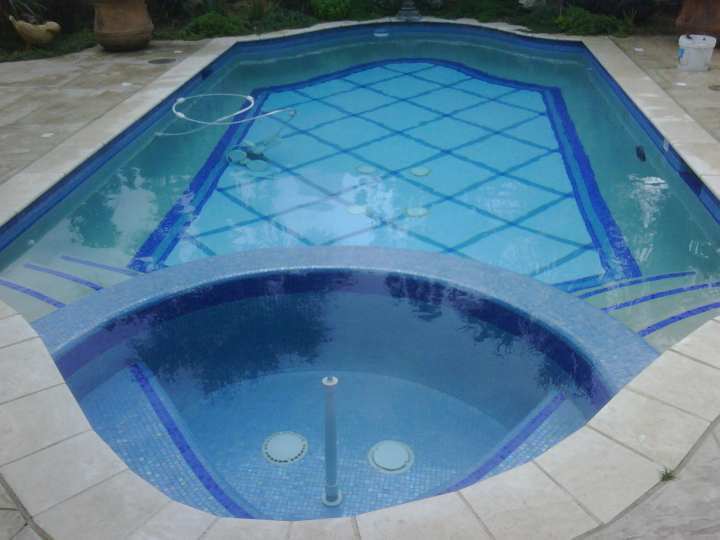 Lester Pools Inc. utilizes a unique process which blends polymer resin with concrete. The result is a top quality concrete that offers beauty while maintaining strength and durability. You'll enjoy the look and functionality of your new concrete surface for years to come! Our concrete resurfacing protocol is detailed and thorough. We will prepare your surface by pressure washing and then repairing any cracks and holes. Extra care is taken to repair cracks so that they will not reappear. After repairing cracks the concrete surface is primed, and then an elastomeric basecoat is applied. Next we grind or sand the surface to give it a smooth finish that will integrate with surrounding areas. Once the surface is properly prepared, a top quality prime coat is applied, and then a texture coat is added and smoothed. A color coat is applied to fit your specifications, and the surface is topped off with a seal coat. After 2-3 days of curing, your newly re-coated surface will be ready to enjoy!